Hi there! 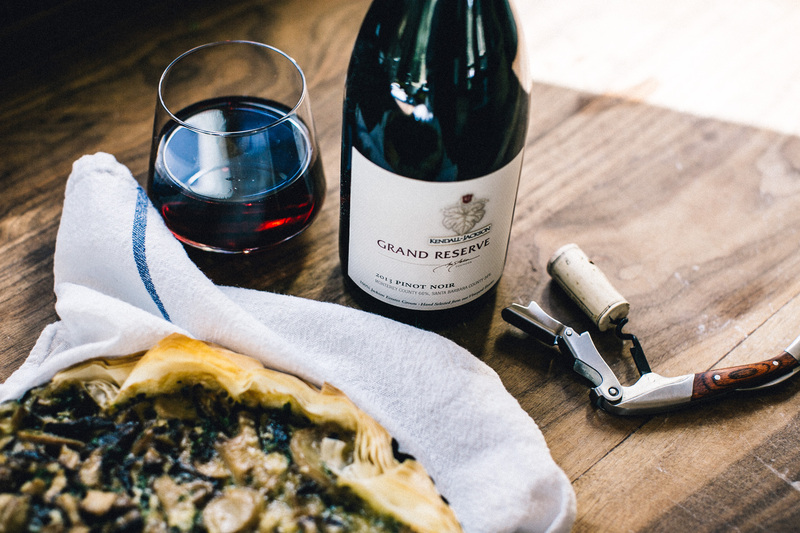 Today we're sharing a sumptuous mushroom tart that pairs perfectly with our Kendall-Jackson Grand Reserve Pinot Noir. 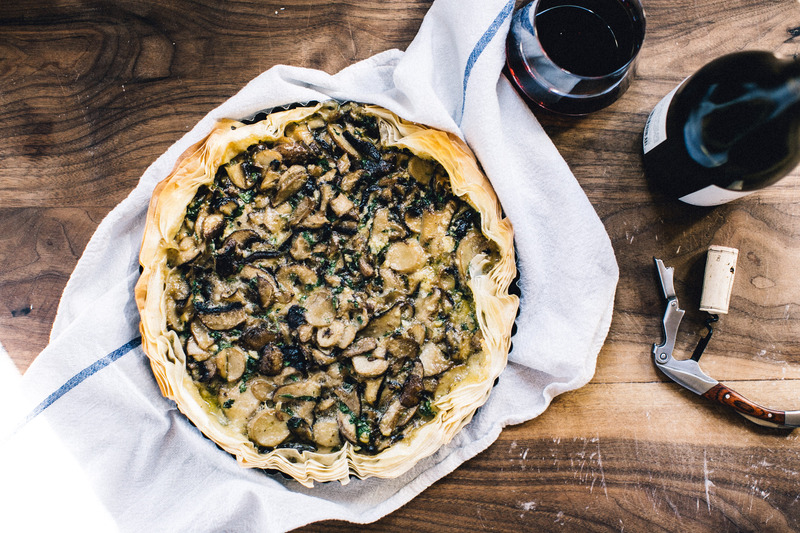 This meal is endlessly adaptable and can be made into a pie with traditional pie crust, or molded in a free-form galette. 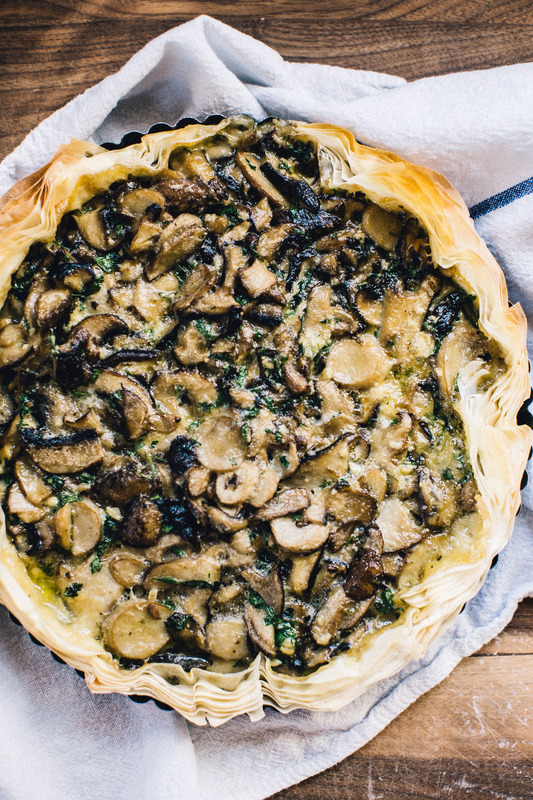 We love how pre-made puff pastry lends a bit of flaky texture to a creamy, comforting filling – plus, who doesn’t like a kitchen shortcut here and there? Happy cooking! Most puff pastry comes frozen and can be found in the frozen dessert aisle of your local grocer. 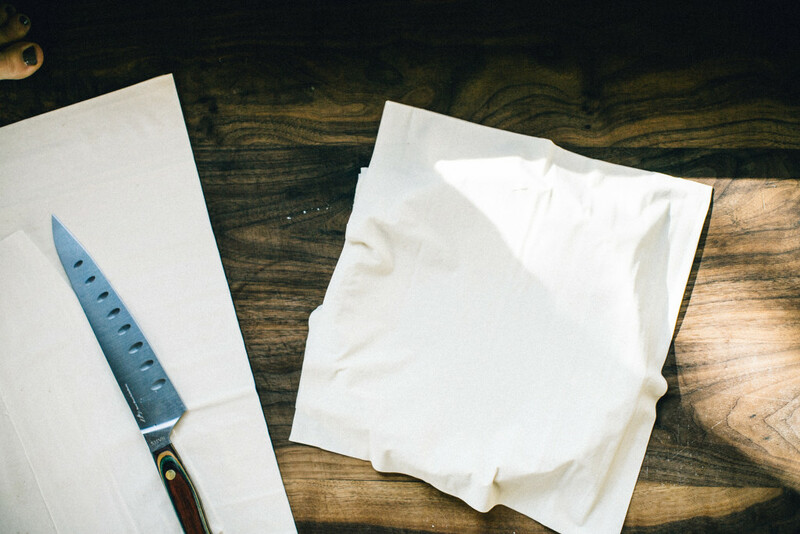 Defrost in the fridge the night before you're ready to utilize. Preheat the oven to 350' F. Set the puff pastry on the counter and let come to room temperature. In a large pan, saute garlic and shallots in the butter. Stir to coat for 1 minute. 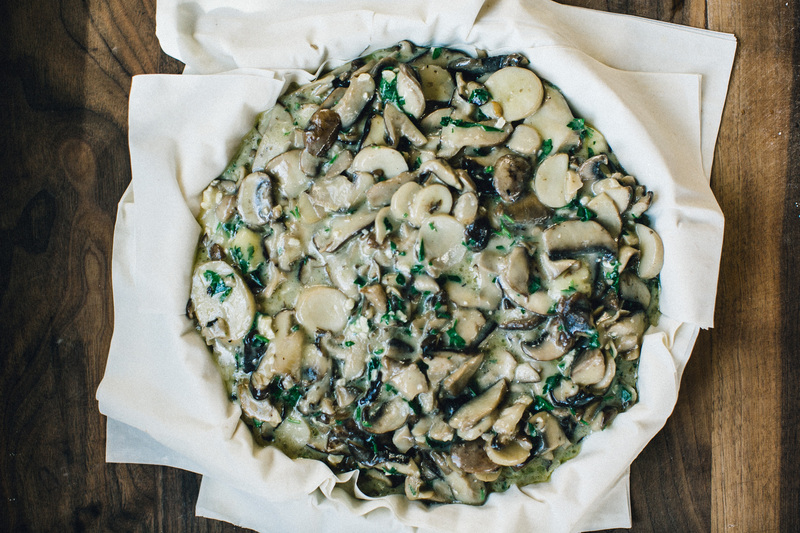 Add the sliced mushrooms with the pepper and cook for 3-5 minutes until softened. 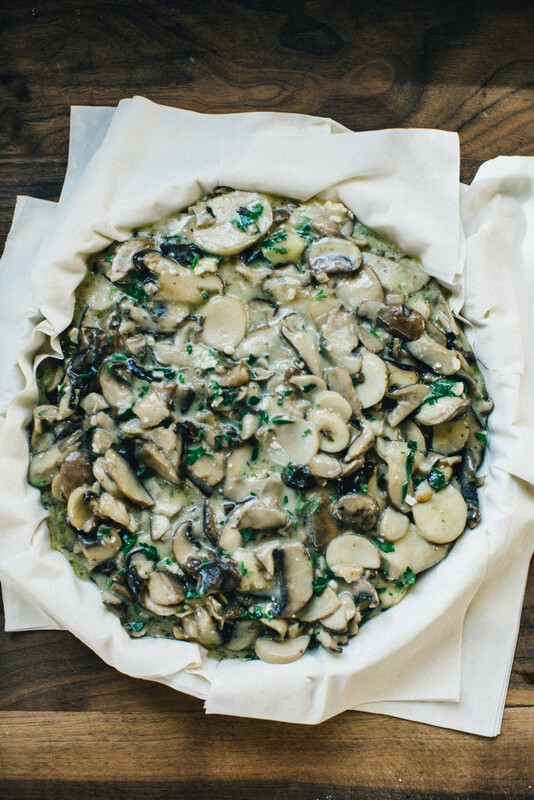 Remove from heat, then stir in grated cheese, chives, parsley, lemon juice, and the egg. 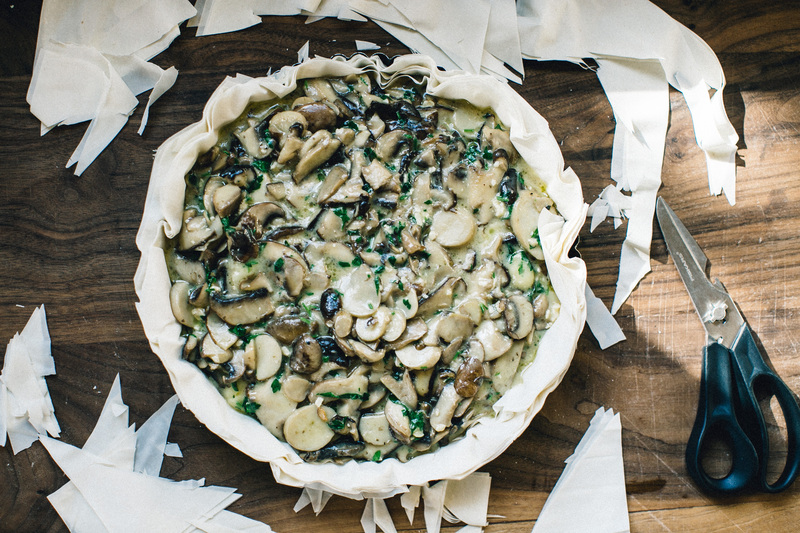 In a tart pan (round or rectangular, your preference), layer puff pastry to your desired crust thickness. Pour in the mushroom mixture, then arrange or cut the extra puff pastry around the edges to your preference. Some people like to fold in the extra edges, I like to cut them to size. Bake for 20 minutes until the edges brown.